This little box is very cute. 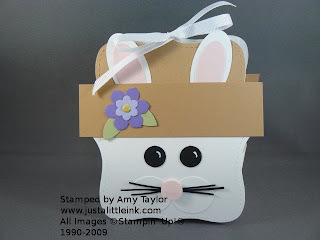 And, although Easter is just around the corner you can put one together very quickly! 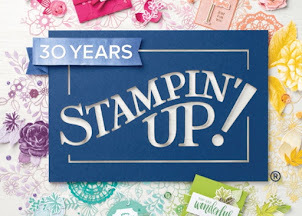 Accessories: Paper Trimmer w/scoring blade, Big Shot machine, Top-Note Die, Birds & Blooms Die, 1” circle punch, 1/2” circle punch, Lg Oval punch, Sm Oval punch, Horizontal punch, 15” Whisper White 1/4” grosrain ribbon, Soft Subtles brads, Sticky Strip, Signo White Gel pen, Stampin' Dimensionals, Tombow Multi-Purpose glue, Crafter's Tool Kit (paper piercer). 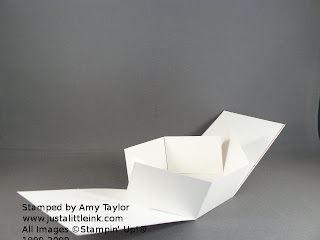 Instructions: Take the 6”x10-1/2” piece of card stock and score along the10-1/2” side at 4-1/4” and 6-1/4”. Turn to the 6" side and score at 1-1/2" and 4-1/2". Cut along the last score lines up to the horizontal score line on one side. Turn and repeat on the opposite side. Trim 2” from these cuts. Fold along all score lines. 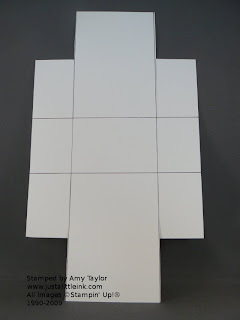 Place Sticky Strip on flaps forming the box bottom. 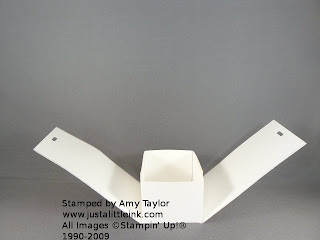 Hold both remaining flaps together at the top, and punch in the center using the Horizontal punch. 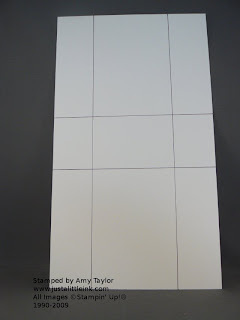 Attach one Whisper White Top-Note Die to each side using just a little Sticky Strip. Follow by attaching 1/2” Creamy Caramel Top-Note Die to top of each side for the hat. Then attach a Creamy Caramel Strip for the hat brim. Add the face pieces: eyes, nose, whiskers, ears, etc. Finish by adding the flower elements and brad. Tie ribbon through the punched slots into a bow.